Start making plans right now for Carlisle 2019. This coming year will see some changes, and the first of these is this: we have a nicer hotel with cheaper rooms—$129 a night. We’ll be at The Marriott Shippensberg and, instead of running out to Caddy Shack on Thursday evening, we’ll have a barbecue right on the hotel patio, which features a fire pit and a grill. Look at this place! The place also has a full bar and we’re getting a much bigger hospitality room that can double as a dining room if it rains. It’s a sweet setup. and a free breakfast buffet on Friday morning. Shippensberg is a college town with other meal options close by (I’ll have more on those later). And of course for you egg sammich partisans it’s 23 miles from the fairgrounds, about half an hour. No tolls. Alan “Dr. Clock” Merklin is working up a short cruise in the hills nearby, since it’s close to his old stomping grounds. He’ll have more soon on the room block. I’ve got more to share about the weekend's festivities and will be blowing the horn about it often and loudly in the coming months. Save the dates now: May 16-19, and get ready to grab your showfield passes when the sale starts. Sounds great, Ed! I'm not getting any pics, though. Sorry for the photo glitch. Let me know if they still aren't in there. They're there now- thanks. And the place looks great! And the all important question- how many cars can fit under the front canopy? The BBQ is catered. It'll be something like $24 charged to your room. Open bar and of course coolers welcome. Canopy in front probably good for 2-3 cars we'll see. Back lot is plenty large for your campers and car carriers. Probably OK for an easy-up or two or three but check with hotel first. We also have a full-sized football field. Just in case anyone wants to play Arctic Rules Ballistic Corn Hole with the mortars. Personally I'd prefer Auto-Polo but nobody ever likes my ideas. Hotel Bar is actually a cash bar, it's not an open bar. We're in ! I like the idea of not driving anywhere to eat. Stay right there, air our grievances and stagger off to bed. @edsnova looks like a good start on next year's SOC gathering. Thanks to all involved for taking this project on! Nice one, Guys. We're in. Looks like a nice venue and I won't miss driving somewhere to eat either. Couple of nice restaurants nearby. Easy on and off 81 and a nice quiet drive thru the farmland to get to the Carlisle Fairgrounds too. Nice one, Guys. We're in. Looks like a nice venue and I won't miss driving somewhere to eat either. Couple of nice restaurants nearby. Easy on and off 81 and a nice quiet drive thru the farmland Rain to get to the Carlisle Fairgrounds too. I see we are no longer going to Mechanicsburg. 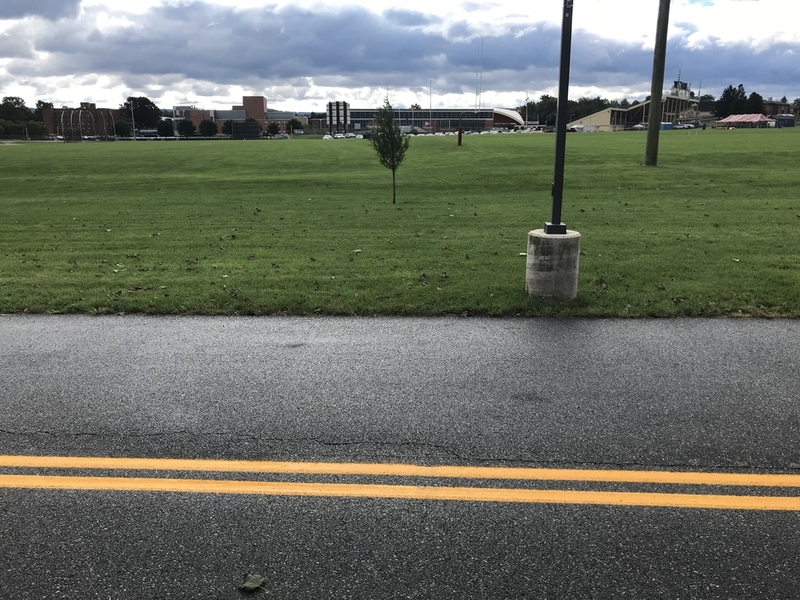 We are now going to Shippensburg, which is east of Mcconnellsburg and Mercersburg, north of Chambersburg, and south of Doylesburg and Newburg. Can we guess what they serve at the BBQ? "Can we guess what they serve at the BBQ?" Gee, I'm sure I have no idea. Thursday evening at the Hotel: BBQ pulled pork, Boneless BBQ chicken breasts, Italian sausage w/ onions & peppers BBQ baked beans, Mac and cheese, Potato salad, house salad, rolls, fresh baked cookies and ice tea w/ full cash bar Approx. $24 pp will be charged to your room folio for the Thursday BBQ dinner. Yes, by "open" bar I meant "you may buy drinks there," not "free drinks." But it being Carlisle Speedster Owners Group I will expect to see a variety of beer-full coolers opened. $24 a head for the BBQ seems about right, and being able to tie one on (if you'd like) and not have to drive back to the hotel you just already drove seventy-eleven miles to get to makes sense. @Jethro you are hereby placed on DOUBLE SECRET PROBATION for saying the R-word. Any further infractions will result in a bag full of ZIPIT being emptied over your head, right in front of the whole class. Jack needs to bring his Banjo. We have any other talent in the group? I have it on "good" authority that while it may r**n in Carlisle it rarely does in Shippensburg. They only get enough to keep the flowers blooming, the trees green, and the lawns perfect and weed free. Believe me. What? They don't serve burgs? So technically the burgers serve the burgs and if several people go to the restaurant together they'd be burging. an ancient or medieval fortress or walled town. Does the new hotel have a moat around it to protect "our" cars like the old one? Quiet location with no highways noises or other known water obstacles . It looks like a winner to me. It's a mile or more from I-81, so it should be quiet. Except for if Stan ever shows up with his Midwest racer-boy exhaust cutout LOL! Let us speak no more of "moats." Live mortar corn hole?? Ummm . . . WTF?? AS to Stan, he has now understood the advantages of long distance towing, so maybe that's one obstacle overcome. If we could find someone to babysit his business for JUST THREE LOUSY days, maybe he could see his way clear. Maybe . . . Agreed, she has PLENTY of room, until someone breaks down. Which seems to ALWAYS happen. Hey everyone it's time to buy your Carlisle tickets at 20% off. Most of you know they do this sale every year but for you newbies: The Carlisle Kit and Import (nka "Import and Performance") Nationals is this club's main east coast gathering and has been for the past many many years. With rare exceptions our members go "non-judged" but every so often someone ponies up the extra sawbuck and probably wins a trophy, as happened a few years back with Cory Drake's Famous Hoopty Special. Get your tickets early and enjoy getting your window sticker in the mail weeks before the May 17 show date. And please remember to click the "club" box and scroll way down to choose the "Speedster Owners" option when you buy. This is how the Carlisle poobahs take the club census and the more people we sign up the bigger our free canopy is. The canopy is just what's needed to keep everyone from becoming sunburned whist enjoying a cold one or three during the show. So click on over and commit before January 2 to save 8 bucks, and also tell your friends and neighbors. More is better, and you don't need a Speedster to show up and drink with us. I am looking forward to attending this event for the first time. 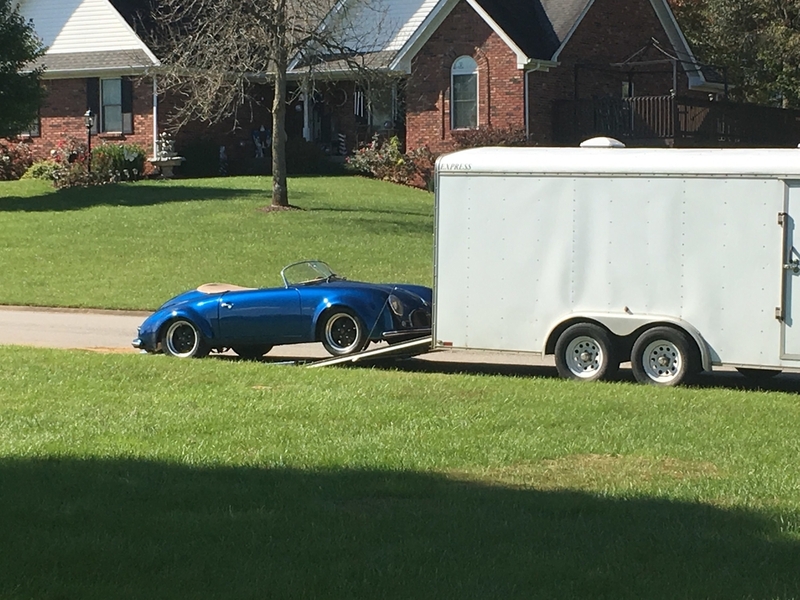 I plan to tow my Speedster in an enclosed trailer. Will the hotel have space for trailer parking? 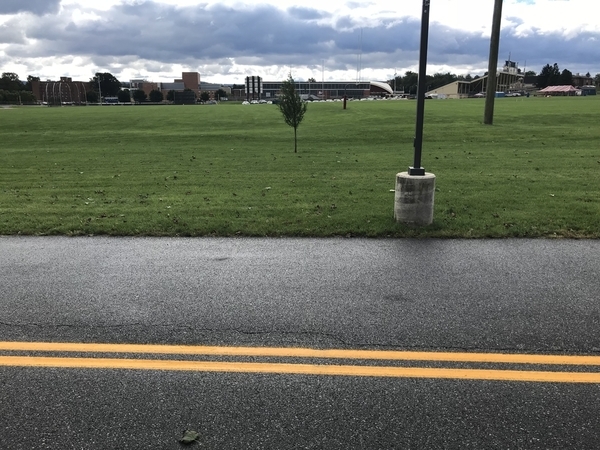 Jimmy Plenty of room , we have a large designated parking lot at Court Yard - Shippensburg PA . Looking forward to meeting up ! Hey Ed and/or Alan, is the hotel set up for reservations in our block yet? Nothing like being “Johnny on the Spot”.